I've began reading through John Owen's classic, The Glory of Christ, with a couple of other guys. My desire is to create a list of study questions to help further our thinking about each chapter. I'll be posting them here, as we work our way through the book. Feel free to use these for your own study, but include the source below, as I'm going to consider submitting these to Banner of Truth for possible publication - depending on how they turn out. I'd sure welcome your input. These questions are based off the "Puritan Paperback" edition by Banner of Truth, which is abridged by R.J.K. Law. However, for the serious reader, the entire unabridged work can be found online here for free. 1. List as many verses as you can that show Christ to be the revelation of the Father. Commit these passages to memory for future reference. 2. 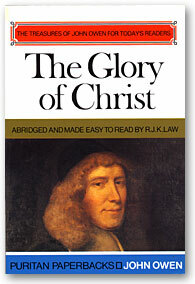 What 2 things does John Owen say are included in the glory of God? State these in your own words. 3. Owen makes it clear that it is only in Christ that we see the perfect revelation of God. Explain the significance of this. 4. How has “the god of this world” tried to blind the minds of unbelievers? What are some specific ways he continues to do this today? 5. What are some of the results that Owen gives of men’s blindness toward the glory of Christ? What are some of today’s results of this blindness? 6. As a result of this blindness, men are ignorant of God. Owen suggests, that this ignorance is responsible for at least two things, what are they? 7. On page 17, Owen gives two “properties” in which God’s glory is displayed in Christ. What are they? 8. In the last full paragraph on page 20, John Owen asks a series of questions regarding the reason for our love, trust, honor and desire for Christ. Ask yourself these questions then compare your answers to the answer he suggests at the end of the paragraph. 9. 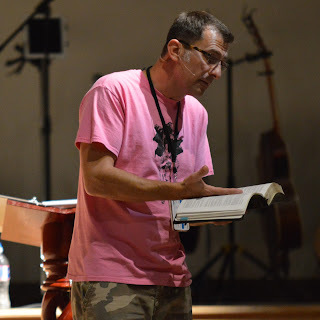 What does beholding the glory of Christ have to do with becoming more like Him? 10. Owen says that the Father’s glory in Christ “is the chief, fundamental mystery and truth of the gospel, which, if it is not received and believed will make all other truths useless to our souls.” Explain how this is so. 11. List the four pieces of advice that Owen gives “to those who are strangers to this mystery yet are not enemies to it”. 12. Summarize the three implications that Owen gives at the end of chapter 2. Permission granted for not-for-sale reproduction in exact form including copyright. Other uses require written permission.